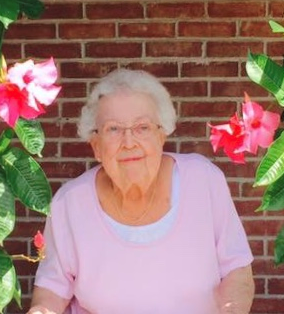 Cambridge City – MaryEllen Anthony, a longtime resident of Cambridge City and Greenwood, Indiana, passed away Tuesday the 9th of April 2019 at her Greenwood home. Born on January 11, 1937 in Buffalo Mills, Pennsylvania, MaryEllen and her husband, Lew Anthony, owned Anthony Foods grocery store in Dublin from 1972 to 1999. MaryEllen enjoyed helping plan and organize annual Canal Day Parades, with an interest in creating parade floats to various themes, including Alice in Wonderland, Wizard of Oz, and Noah’s Ark, to name a few. She created an atmosphere that encouraged all children to participate in the parade, and many great memories will forever remain in our hearts. She is preceded in death by parents, Carrie Elizabeth (Leppert) Mowry and Henry Albert Mowry; and her son, Greg Anthony. She is survived by her husband of 65 years, Lewis C. Anthony; son, Bruce (Vonda) Anthony; 2 daughters, Janet Lyon and Judy Kendall; 14 grandchildren; 24 great grandchildren. Friends are encouraged to honor MaryEllen’s life by making Memorial Contributions to the Arthritis Foundation- 1355 Peachtree Street NE/ Atlanta, GA 30309 or www.arthritis.org.